Quote Reply Topic: A & B Gold. Got these in the mail yesterday, thank you very much Alan they are stunning. What did you catch on the little fellas Bob ? I had the pleasure of meeting Allan Sloman on the weekend and talking lures and his tackle box was emptied on the table for photos. Stunning lures! Nice as Allan, those tables have seen plenty of lures and yours are up there as some of the best that have ever graced them. Thanks for the pics Deb, Wish I could have been there too. 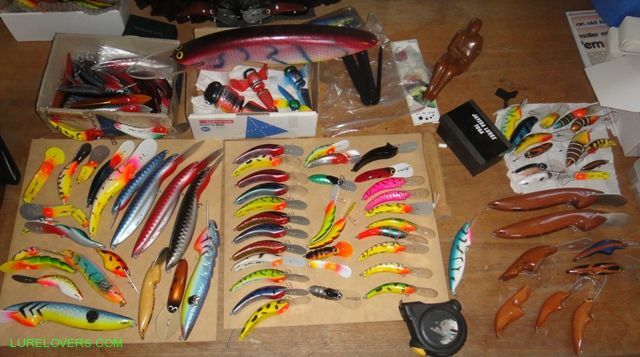 I've been sorting out the lure room and have Allan's lures out of their boxes at last!